Ellis Island was constructed by the federal government to cope with the rising numbers of immigrants arriving on the shores of the USA. At one point individual states managed immigration. As the numbers grew, a new solution was needed to help those arriving on our shores. The first immigrant to go through Ellis Island was an Irish minor called Annie Moore who had arrived on board a ship with her two young brothers and was on her way to be united with family in New York. Some famous names also passed through Ellis Island – including the composer Irving Berlin and Charles Chaplin. Apparently, 40% of today’s US citizens have a relative somewhere on their family tree that passed through Ellis Island. Isn’t that amazing? The #Statue of #Liberty and #Ellis Island. From 1892 until the 1950s a total of 12 million people passed through Ellis Island on their way to starting a new life in the USA. 1900 until 1914 were Ellis Island’s busiest years. 1907 was the busiest year on record, with just over 1 million arriving in that year alone. At one stage, it was only those who travelled to the USA in third class who needed to go through Ellis Island. It was thought that those who travelled in first and second class were less likely to require support from the country so they weren’t processed in the same way. 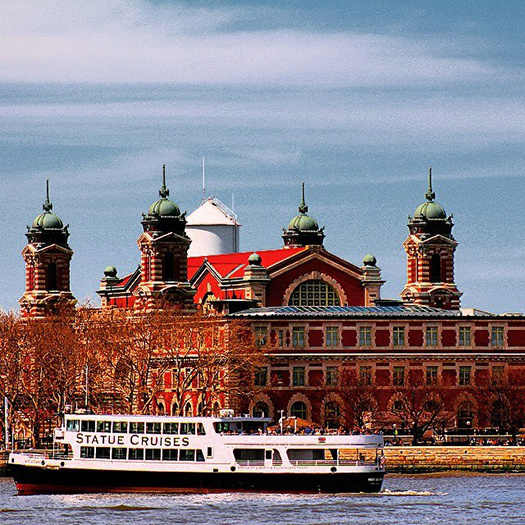 Sailing past #Ellis Island – a sight so many experienced on their way to a new life. Ellis Island closed in 1954. It reopened again in 1976 as an immigration museum. In 2001, immigration records were made available to the public and visitors can trace those who arrived at Ellis Island between 1897 until 1950s. (Some of the earlier records were destroyed in a fire in 1897). The immigration system began to change from the early 1920s and this changed Ellis Island. The level of immigrants began to be restricted. Also, the United States had established embassies in other countries and inspections and immigration paperwork could be handled there, before travel. At one stage Ellis Island was a hospital for the US Army from 1917 and also a detention centre. 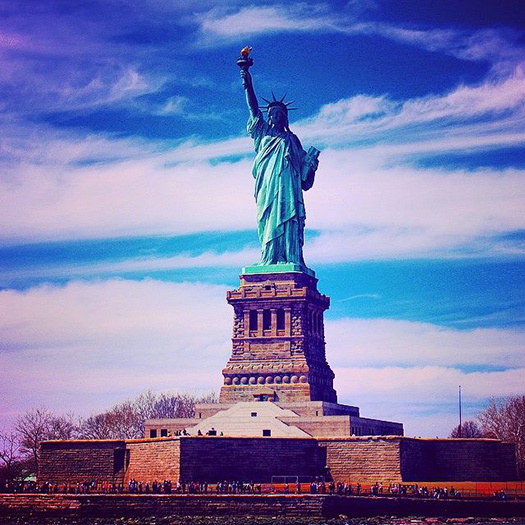 In 1965, Ellis Island became part of the Statue of Liberty National Monument. It opened to the public in 1976 but plans for the museum didn’t happen until much later, followed by a period of fundraising and restoration – opening again in 1990. Ellis Island is part of the Statue of Liberty National Monument. 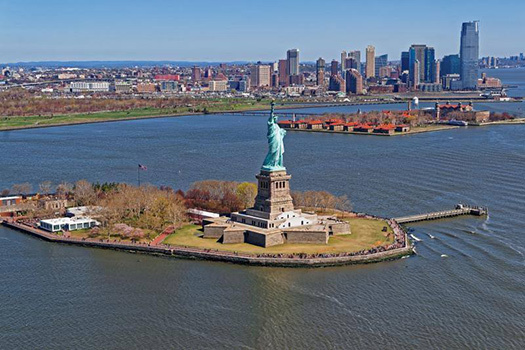 Planning to visit New York City and Ellis Island? Visiting Ellis Island and the Statue of Liberty is fascinating. You can imagine being in the shoes of those immigrants as they arrived in the ‘Land of Hope’.